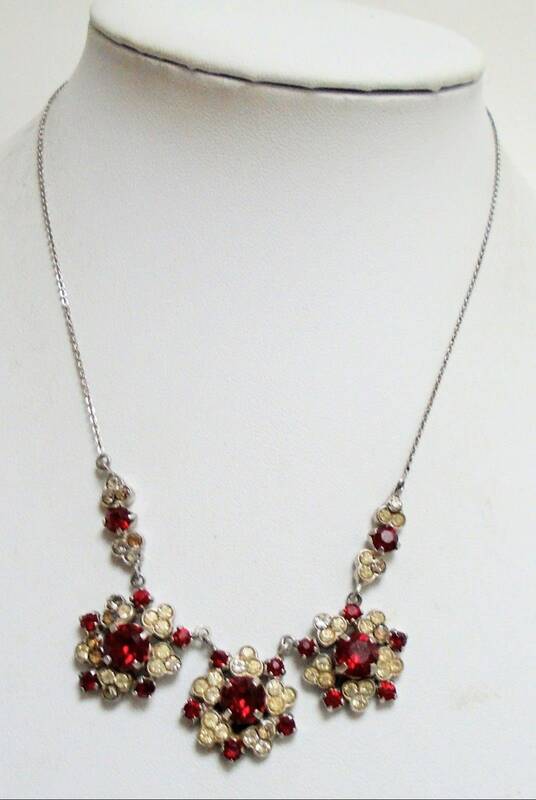 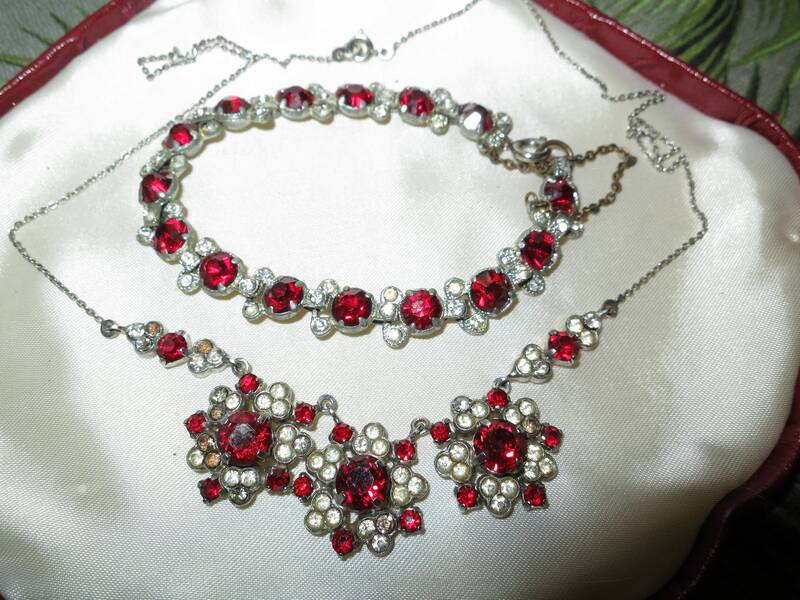 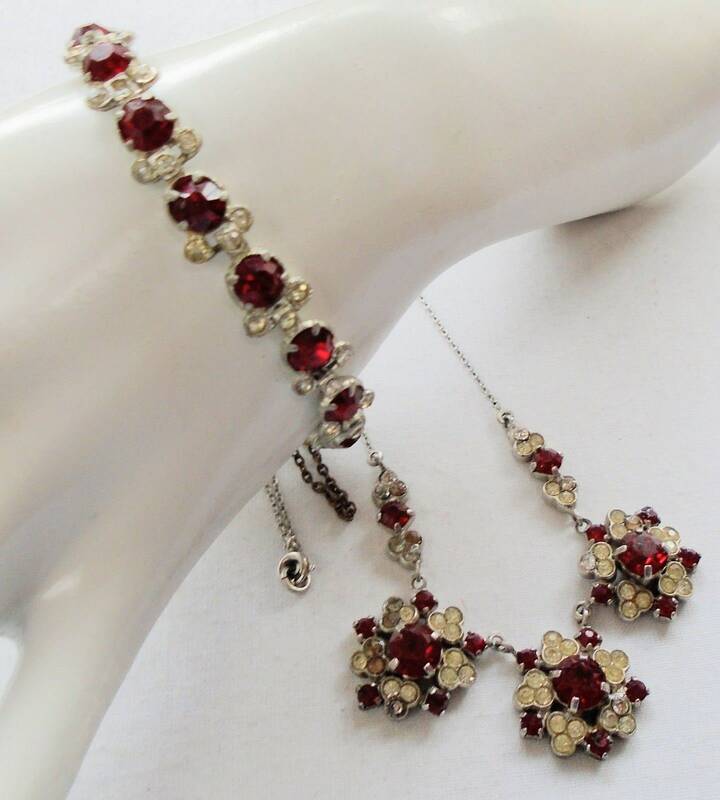 This is a good quality vintage necklace and bracelet which are made from silver-coloured metal set with ruby and clear glass stones and are in good vintage condition. 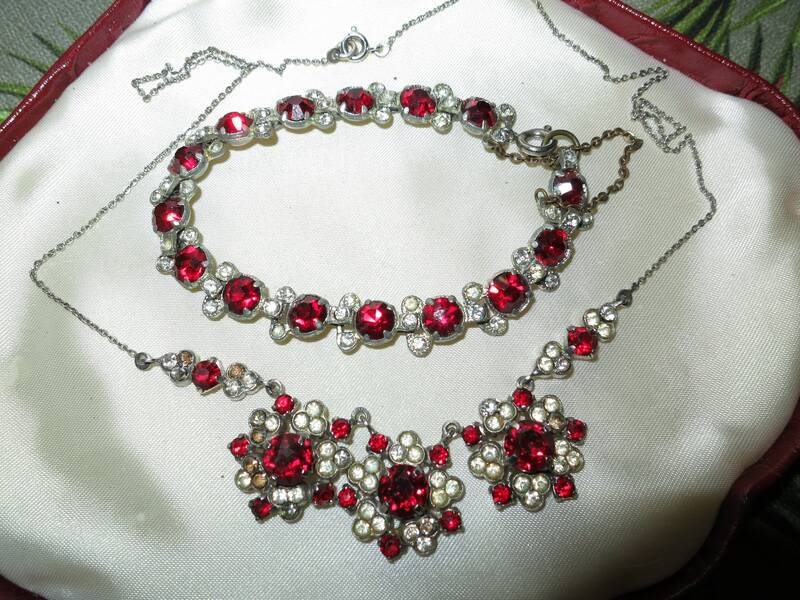 The necklace measures 44cms by 2cms (in the centre). 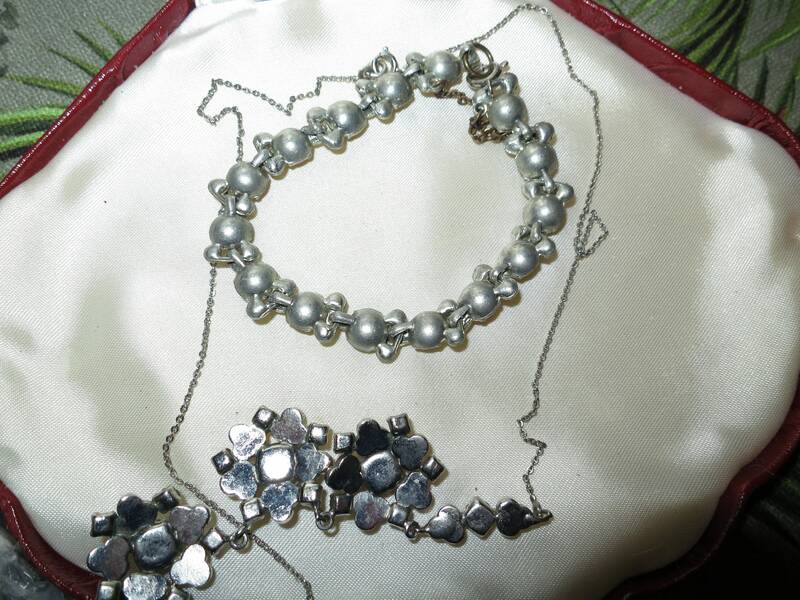 Bracelet is 7 inches with safety chain a couple of tiny clear stones missing from necklace but hard to notice.